To commemorate the 400th anniversary of William Shakespeare’s death, Fathom Events and BBC Worldwide North America present a unique two-hour event featuring a star-studded cast including Helen Mirren, Benedict Cumberbatch, Dame Judi Dench, Sir Ian McKellen, Joseph Fiennes, John Lithgow, David Suchet and many others, who will pay tribute to one of the most influential writers of all time. “The Shakespeare Show: Recorded Live from the Royal Shakespeare Company” comes to select U.S. cinemas nationwide for one night on Monday, May 23 at 7:00 p.m. local time. Fresh from his New York stage debut as Richard II, and with rave reviews from the New York Times, David Tennant hosts this once-in-a-lifetime event to celebrate the Bard’s plays and their enduring influence on music, dance, opera, musical theater, and comedy. Tickets for “The Shakespeare Show: Recorded Live from the Royal Shakespeare Company” can be purchased online beginning Friday, April 15, 2016 by visiting www.FathomEvents.com or at participating theater box offices. Fans throughout the U.S. will be able to enjoy the event in nearly 400 movie theaters through Fathom’s Digital Broadcast Network. For a complete list of theater locations visit the Fathom Events website. The following Metro Detroit Cities are included on the list: Ann Arbor, Flint, Livonia, Sterling Heights, Walled Lake, Warren and Ypsilanti. 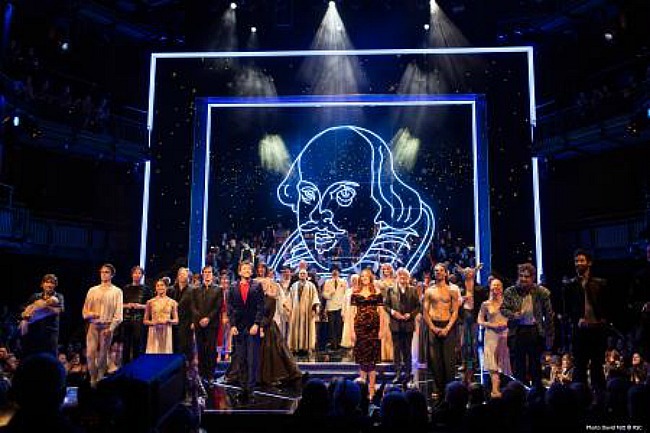 “The Shakespeare Show: Recorded Live from the Royal Shakespeare Company” will also feature Rufus Wainwright, Tim Minchin, Al Murray, Meera Syal, Alison Moyet, Sanjeev Bhaskar, Paapa Essiedu, Pippa Nixon, Alexandra Gilbreath, the Royal Ballet and the Orchestra of the Swan, and many more in a unique tribute to the genius and influence of the world’s greatest playwright and storyteller.